The UAE senior and Under-20 players have been training ahead of upcoming tournaments. 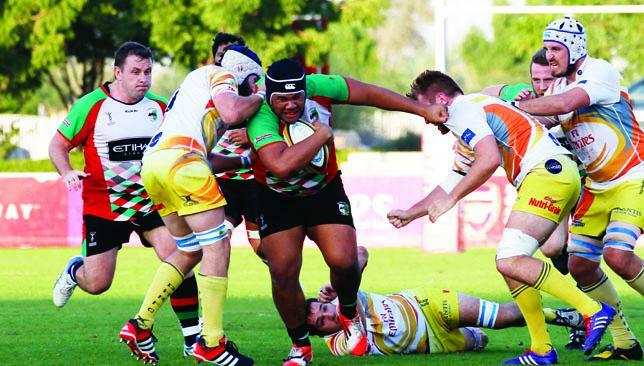 Having had a taste of international rugby on the UAE’s Asia Rugby Championship tour to Malaysia earlier this year, Jebel Ali Dragons full-back Ryno Fourie admits he’s hungry for more. In the wake of the UAE failing to qualify for the 2016 Olympic Games in Chennai in March, national team head coach Roelof Kotze has decided to reintroduce expatriates to the sevens fold. South African Fourie is one of those and has been training at 7he Sevens this week ahead of the Asian Sevens Series in September and October. The 33-year-old has been living in the Emirates for a decade and previously represented the Arabian Gulf. He says it would be an “honour” to be involved with the UAE sevens squad in the upcoming tournaments in Shanghai and Colombo. “I played when I was a youngster for the Arabian Gulf and it’s nice to be back involved,” said Fourie. Fourie was among familiar faces in Malaysia, Dragons’ team-mates Niall Statham, Adam Telford, Andrew Carphin, Daniel Minks, Michael Botha and Paul Hart all part of a UAE team that recorded wins over Thailand and Chinese Taipei but fell short of winning promotion to Division I following a 20-19 loss to hosts Malaysia. Fourie revealed a lot of the players on tour expressed a desire to become more involved. involved. In Malaysia we came close and we want to give it a go in sevens too,” said Fourie. The senior UAE players returned to training last night, ahead of the Shanghai 7s (September 5-6) and Colombo 7s (October 10-11). The Under-20s have already been training for a few weeks ahead of two tournaments in Malaysia and Hong Kong between August 15-16 and 21-22 respectively. Despite expats being brought back in by Kotze, compatriot Fourie has been impressed by what he’s seen from his Emirati colleagues at UAE training. “From what I can see, they’re switched on and I think we have a good enough team to finish inside the top two or three (at Shanghai in September). “As for the U-20s, I think what Roelof’s done is a good thing. I’ve watched some of their games on film and from where they were up to now there’s been a big improvement. 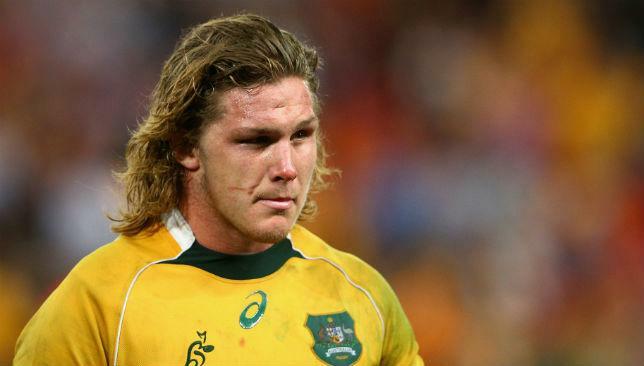 Michael Hooper is free to play in the Rugby Championship decider. Australian Michael Hooper’s one-week suspension for a striking offence is confirmed, allowing the Wallabies to select the flanker for a crucial showdown against New Zealand. The 23-year-old was found last week to have struck Argentinian player Nicolas Sanchez in the 59th minute of a match on July 25 in Mendoza in the Rugby Championship and was suspended until August 1. Super Rugby organisers SANZAR appealed the decision, saying it was too lenient, while the Australian Rugby Union (ARU) appealed on the basis that the ban was made in error. But a SANZAR Appeals Committee maintained the week-long suspension as it dismissed both appeals. The ban ruled Hooper out of a domestic game with Manly on Saturday but not the Wallabies’ Rugby Championship match against the All Blacks on August 8 in Sydney. “Glad it’s wrapped up and I can really look forward to this week and moving forward into the first Bledisloe,” Hooper said in comments published by the ARU.